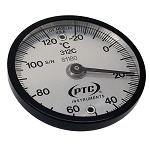 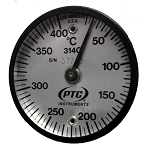 PTC®'s Dual Magnet Mount Surface Thermometers are specifically designed to measure surface temperatures. 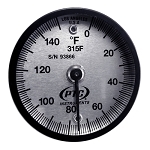 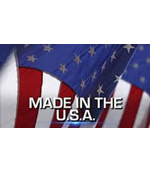 Made in the U.S.A. of quality materials, these thermometers can be used on any horizontal surface or held on any magnetic surface.These instruments feature two high-temperature alnico magnets that act as the thermometer's base and hold the instrument in place. 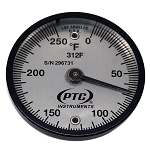 The bimetallic sensor is located in a draft shield and is in virtual thermal contact with the surface to be measured. 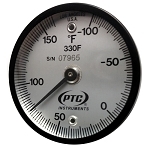 This gives the instrument a relatively quick response time. 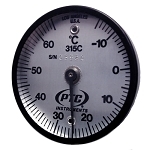 The thermometer reaches sensing equilibrium (stability) within three minutes. 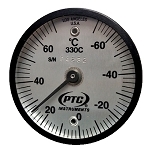 NIST Traceable Temperature Certification from PTC Metrology™ is available upon request. 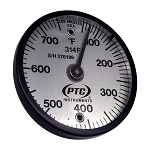 Designed for hospitals and industrial applications such as pipe surfaces, weld preheats, boilers, cylindrical tanks, motors, generators, engines, bearings, hot plates, griddles, die-cast dies, foundry core boxes and annealing ovens.